Scott Maurer, MD – Dr. Maurer received his medical degree from Oregon Health & Science University and completed his pediatrics residency training at the University of Washington. He went on to complete a fellowship in pediatric hematology/oncology at St. Jude Children’s Research Hospital where he also received training in palliative medicine. Currently he serves as an associate professor of pediatrics at the University of Pittsburgh School of Medicine in the division of pediatric hematology/oncology. He is also the medical director of the supportive care program at Children’s Hospital of Pittsburgh of UPMC. As such, he is focused on expanding access to quality palliative and end-of-life care, improving resident education in palliative medicine. 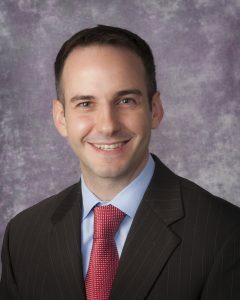 His research interests include quality improvement in pain management, spiritual care, medical education, and patient related outcomes for children with life-limiting illnesses.